For some time now, HNA Capital, which serves as HNA Group’s financial services platform, has been actively developing a layout strategy within China’s Belt and Road Initiative (BRI) framework. Namely, the Beijing-headquartered company has been utilising the advantages of modern financial technology to promote capital financing for the countries and regions involved. To this end, in February, HNA Capital signed a BRI Strategic Cooperation Agreement with China Asia Pacific Assets and Property Rights Exchange (CAPEX), creating a strategic partnership that is focused on project development, investment, financing, equipment supply, engineering construction, operation management and more in the region. HNA Capital is also taking the lead in an RMB 20bn ($3.1bn) industrial fund to further support infrastructure, industrial development, financial services and hi-tech projects in mainland China, Hong Kong, Macau and Taiwan, as well as other countries in South-East Asia. In light of this mammoth undertaking, which takes place during HNA Group’s 25th anniversary, World Finance spoke with Tang Liang, Chairman of HNA Capital, about the company’s BRI strategy and how it effectively controls risk. What are the highlights of your participation in the BRI over the past few years? In recent years, HNA Capital and its subsidiaries have been optimising their layout strategy in the global aircraft leasing industry. To do so, we are strengthening cooperation with countries in the BRI, while promoting the coordinated development of leasing commercial aeroplanes, business jets and general aviation aircraft. The construction of the BRI is accompanied by a large amount of infrastructure investment and industrial cooperation. Consequently, the demand for aircraft leasing and container leasing has skyrocketed. 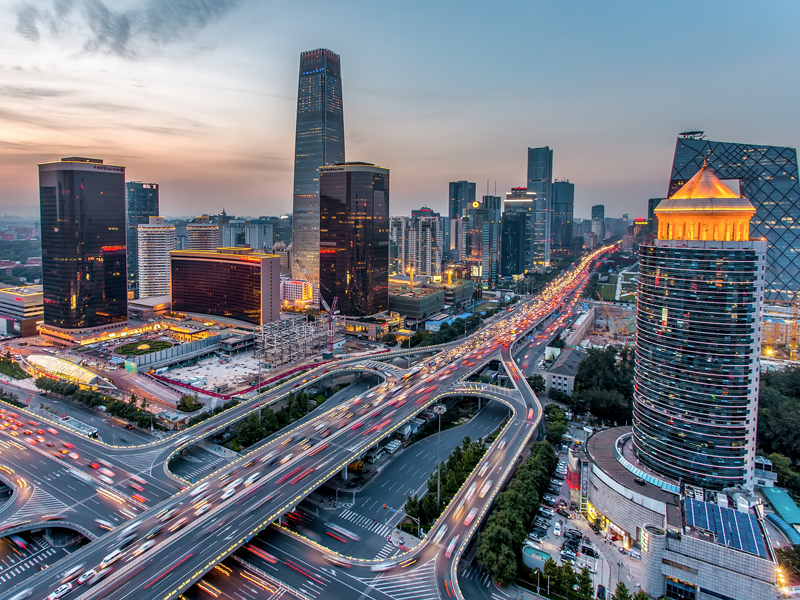 In order to seize this opportunity, HNA Capital member company Bohai Capital has set up branches in Shanghai’s free-trade zone, Tianjin’s free-trade zone, Qianhai and Hengqin New Area. Bohai Capital has also grown into the world’s second-largest container leasing company following the acquisition of Seaco, the world’s sixth-largest container leasing company, and after obtaining an 80 percent stake in Cronos, the eighth-largest. Furthermore, with the buyout of CIT Group, Bohai Capital has established its position as the third-largest aviation leasing group in the world, and is the only Chinese-funded enterprise among the three largest aircraft leasing giants. What are HNA Capital’s risk control principles? Written in our constitution are the ‘three defensive lines’, which include: traditional risk control measures, such as monitoring indicators; due diligence; process management; risk assessment; internal control evaluation; and legal review. Since establishing this foundation, HNA Capital has been continually strengthening its risk control to achieve a comprehensive risk management system, establishing multidimensional risk firewalls and isolation mechanisms, such as investment management. Meanwhile, we are also introducing new and innovative mechanisms, such as signing risk responsibility commitments with various industry leaders and quantifying the core risks of member companies. In addition, we have set up state-of-the-art digital platforms to provide real-time monitoring of companies, early warning of major risks, analysis of risk trends, and so on. Confronted with emerging financial risks, how can HNA Capital improve its risk control capabilities? HNA Capital has integrated the three defensive lines idea into the construction of an information-based risk control system. Initially, this involves real-time docking of business data, monitoring operational status throughout the process and setting up early warning mechanisms. Second, it entails classifying risk types, analysing risk factors and tracking risk disposal, and third, improving risk control effectiveness through internal audit supervision and rectification. The whole process can be monitored through the full-scale visual risk panorama platform, which can be considered as ‘an eye in the sky’. In addition, financial technology and intelligence is a new driving force in the construction of HNA Capital’s risk control system. Can you explain how big data and cloud computing technologies are applied to your risk control system? Specifically, HNA Capital’s risk management and control information system, which is based on HNA’s cloud computing platform, has undergone innovative development. It has evolved into a new intelligent risk control system, covering a multidimensional information data model that is able to perform automated collection and analysis of operational monitoring data and business monitoring. It has completed the real-time monitoring of more than 2,000 business risk indicators, and also identifies, analyses and deals with various risks, such as liquidity, credit and legal risks, and can form a closed-loop risk management process. What are the defining characteristics of the company’s organisation, function and positioning of risk management? The main advantages of HNA Capital’s risk control work are embodied in our years of management experience and data accumulation. On the one hand, HNA Capital and all its member companies have fully established a multilevel risk control work system, from its risk management committee to risk control leaders and a dedicated risk control department. There are now more than 100 employees in the risk control system, covering all front, middle and back-office business lines. As I mentioned before, we also have a sound risk control mechanism, which allows us to holistically implement comprehensive risk management for all of our capital at the corporate level. We have built the risk firewall that controls multidimensional risks and fixed the defects of internal control through a risk responsibility system. We have also adopted an information-based approach towards risk management and control, so as to drastically improve the efficiency and quality of risk control at HNA Capital.